Her research team focuses on brain- inspired computing, a combination of neuro–science, nanotechnology and intelligent system design, to build computing systems that can assess and integrate ever-larger quantities of data. Brain-inspired computing is a sub-field of artificial intelligence where the physical, neural network architecture and its complex processing mechanisms are inspired by how the brain can recognize patterns and retain information over time. Today’s systems have the potential to do this, Kudithipudi explained, but require a more robust network architecture to acquire, manage and assess data from multiple streams. The brain’s ability to process multiple concepts and its power efficiency and resiliency are remarkable characteristics of evolutionary design, and studying the brain is an ideal model for computer information processing. 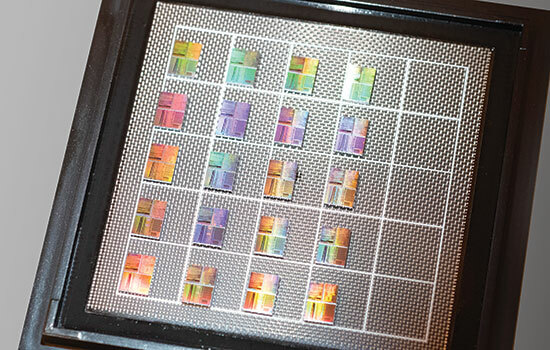 In a new NSF-funded project, Kudithipudi will be part of a campus research team using photonic integrated circuits to design neural network technologies to improve speed and address energy consumption. Work on that project can have an impact as RIT continues its contributions to AIM Photonics, the national manufacturing initiative. In order to construct the neural networks for photonic chips, the team will build upon known capabilities of electronics to overcome the challenges of establishing better memory and amplification. This hybrid approach, where electronics and photonics would be integrated together, enables solutions to improve photonic chips. There are about 40 faculty-researchers in 27 lab groups across the RIT campus involved in courses and research using artificial intelligence. Examples of courses include Deep Learning for Vision, Machine Intelligence, Brain-inspired Computing and Big Data Analytics.